Kohler at Bauma Munich. On Monday at 4pm Kohler put in the public eye the hybrid solutions. 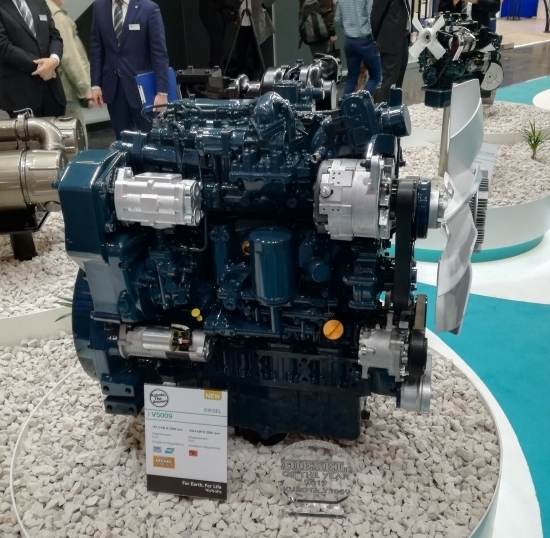 Moving backwards in Bologna, at EIMA International last November, during the presentation of the K-HEM (Kohler Hybrid Energy Module), the hybrid was presented as ‘the market gauge’. 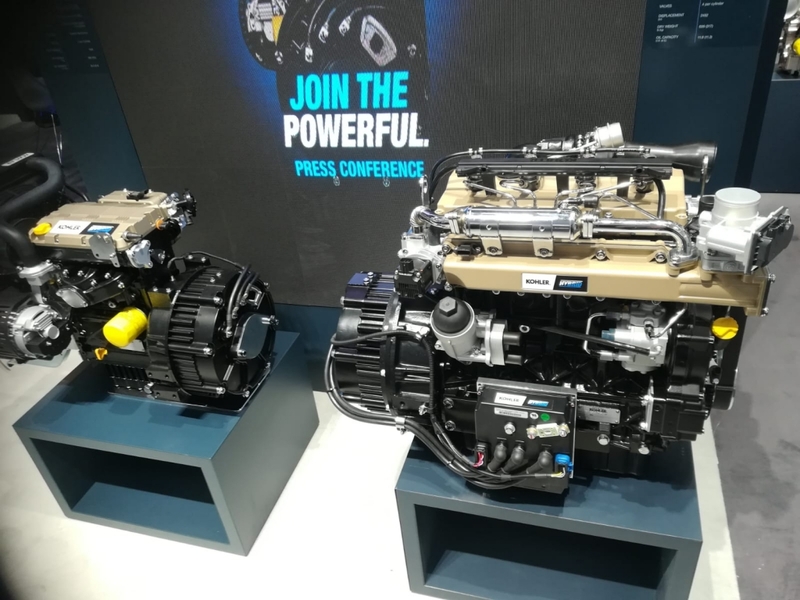 Evidently it is been gauging a good mood among the OEMs, since Kohler at Bauma has also introduced the hybrid to the construction industry audience. The K-HEM works at low voltage and integrates the mechanical power of the endothermic (the Kohler LDW1003, that supplies 18 kilowatts, in the version proposed for agricultural applications) with 8 kilowatts, peaking 15 kW. The control unit interacts with the Battery Management System, which updates the information in real time and optimizes the power and the load. K-HEM was originally designed for material handling, for a forklift, in fact. 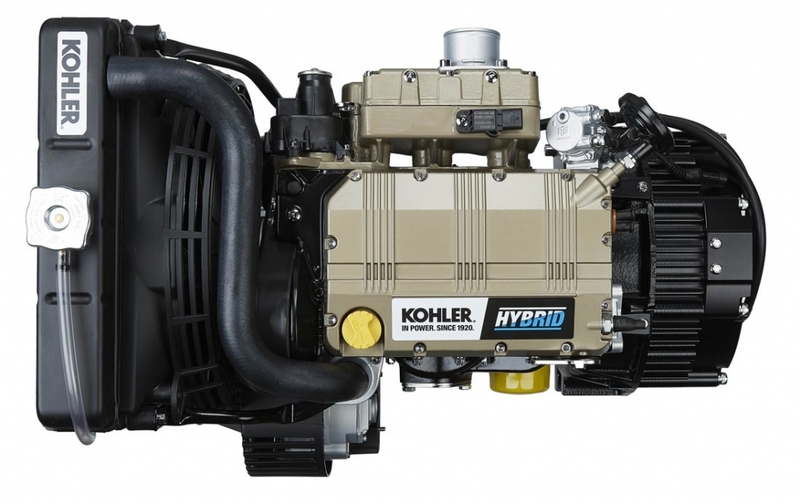 The right applications for the Kohler hybrid package are machines with discontinuous duty cycles, which therefore require peak power, and machines that work at constant duty cycles at low loads, such as aerial platforms, forklifts and telescopic handlers. The LDW1003 is no longer alone. 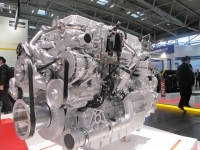 At Bauma it found itself in the company of its older brother, the 2.5-liter KDI. The hybrid range of Kohler reaches, in this way, the earth-moving sector. As Kohler, from its headquarters, underlined: K-HEMs allow excavators to have faster and more precise movements compared to the past, with improved efficiency and productivity. 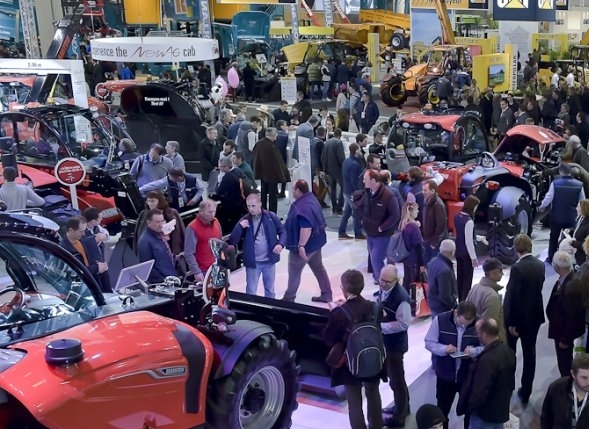 Or they make sure aerial platforms exploit the availability of electricity when peak power is required and then use the diesel engine as standard for cycles operating at low speeds. For the same reasons, we believe K-HEMs are a perfect match for applications like welding equipment, forklift trucks, telescopic lifting equipment, tyre- or track excavators, chip grinders, and cable tensioners.